* Kaftan length: --- Please Select --- 53"	57"
We have made and sold this kaftan version in various colours for almost 25 years because it is so popular with our customers. 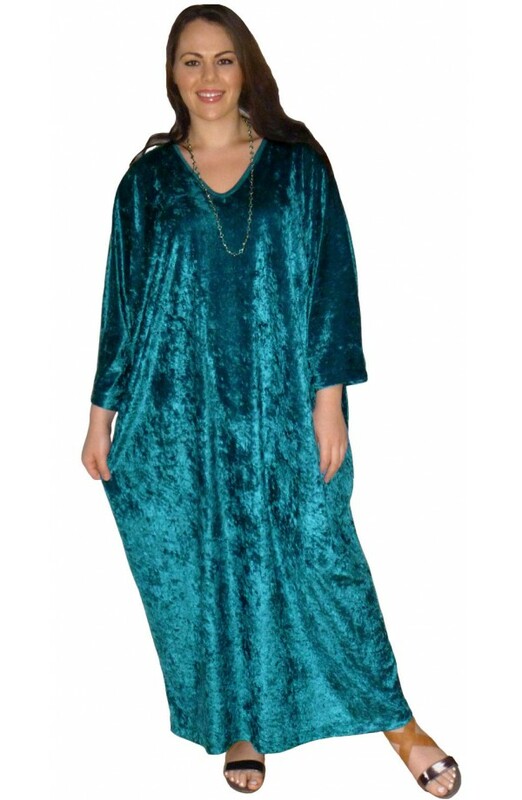 It is made in washable, non-iron polyester jersey velour that has a lightly crushed pile surface appearance. 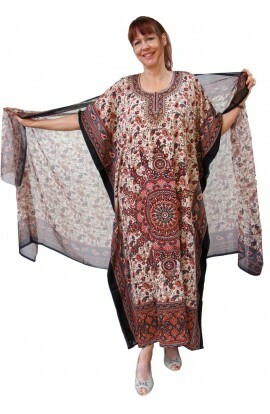 This garment drapes fantastically well and will flatter just about any figure, size or shape. It is free-sized and suitable for all UK sizes from 12 - 30. SUITABLE FOR ALL OCCASIONS FROM RELAXING AT HOME TO GOING ON HOLIDAY OR DRESSING UP WITH JEWELLERY OR A SCARF FOR A SPECIAL OCCASION.